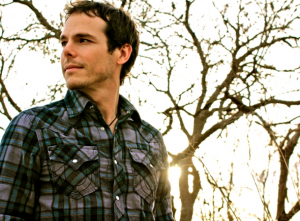 As I mentioned yesterday, Granger Smith is brand new to me. I had no idea this guy existed until recently. It’s crazy to discover artists like this when they have so many great songs in their collection. It seems like Granger has been busy with great songs over the last few years. Here is his latest offering, Letters to London. Letters to London is a different kind of song from the one we looked at yesterday. It’s still a great tune, though. In fact, I think it further establishes the fact that Granger is one of the best artists – even though mostly unknown – in country music right now. The song is about a guy that’s writing to his love that is now living over in London. She’s left him because he couldn’t step up to the plate to say his real feeling. Now he’s left writing letters instead of being with her in person. The melody of this song is great again. That’s becoming an obvious talent of Granger’s. He has a great ear for melodies and his lyrics are unique as well. There is nothing like this in country right now and I think Granger should become one of the next big stars in the genre. If you’ve ever been separated from someone you can probably relate to Letters to London. You might feel like this person should be with you instead of away. They dont’ even have to be all the way across the ocean to be that far away. People have to leave sometimes and there can be long periods of time that pass before you see them again. This is a great song on various levels. The story is far from cliche, which is hard to find these days in country music. The images are new and fresh. The feeling is familiar though and it really works to connect with the listener. Great job Granger on this one. I wish it would have a chance at radio.